Thanks for contributing to help me fight childhood cancer! I am a sixth grader at the St Mary's Academy in Bismarck, North Dakota. 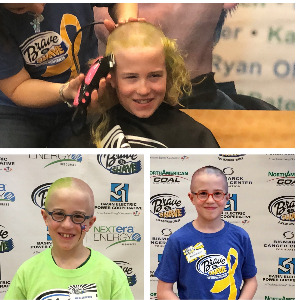 2019 will be my fourth year participating in Brave the Shave and I grow my hair each year between events. Donations in any amount are appreciated and thank-you for helping the kids! Micah, thank you for doing this for those kids who are battling cancer. You’re an inspiration to many and your dedication to this cause sets the example for those young and old to follow!